Red tide along the gulf coast seems to be staying away. 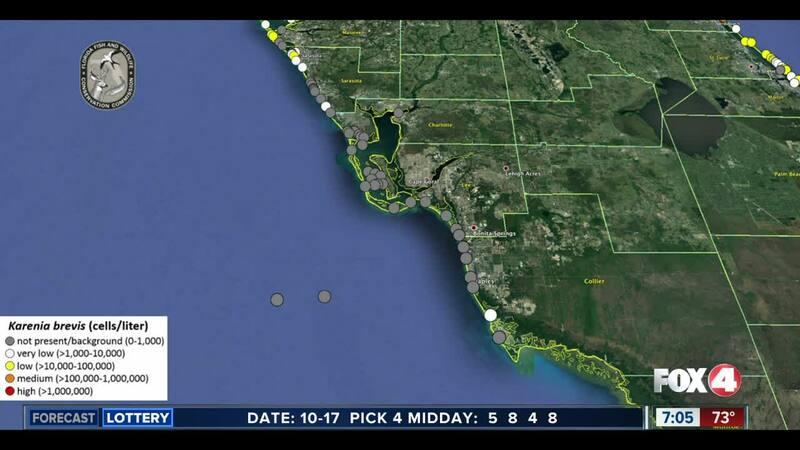 The newest red tide maps were released by Florida Fish and Wildlife on Wednesday. LEE COUNTY, Fla. -- Red tide along the gulf coast seems to be staying away. The newest red tide maps were released by Florida Fish and Wildlife on Wednesday. Compared to last week, when testing found no red tide in Charlotte, Lee and Collier counties, there are now a few spots showing very low levels of the red tide bacteria, including one spot off Bonita Springs, one spot off Cayo Costa Island, and one at Stump Pass in Englewood. Elsewhere in Florida, high readings of red tide persist near St. Petersburg on the west coast, and in Indian River County on the east coast. Red tide is present from Miami-Dade County north into Brevard County. It has also been found at several testing locations in the lower Florida Keys. 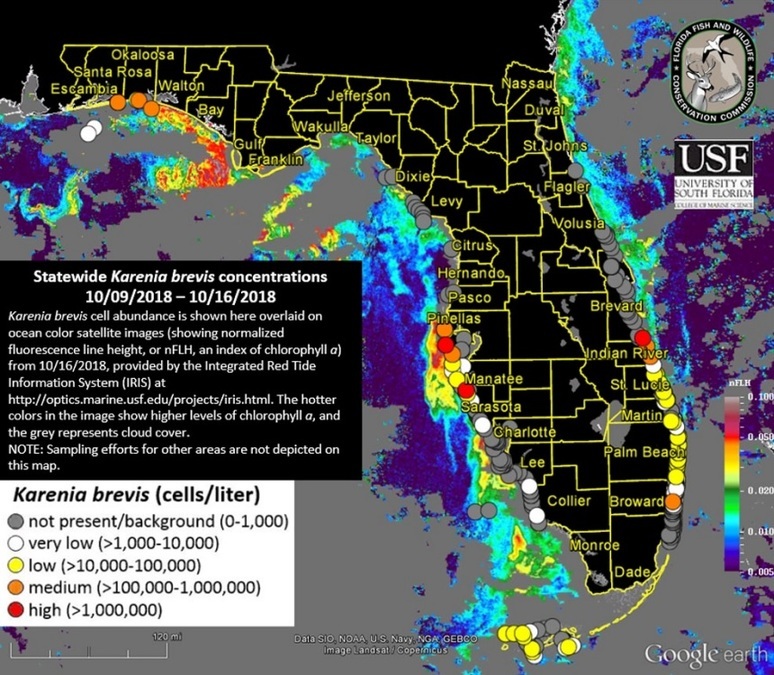 Medium levels of red tide are also present in the Florida panhandle.